Rose gold necklace with diamond pendant. The chain is 16 inches, 14k rose gold. 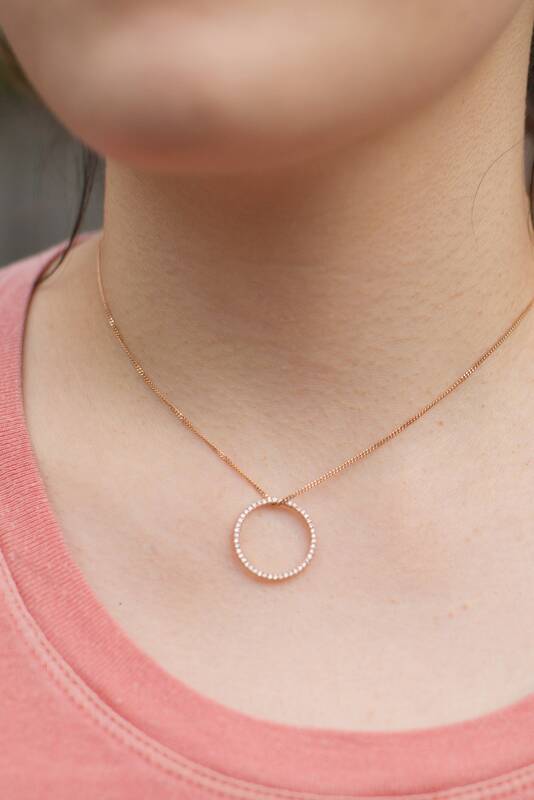 This simple diamond pendant can be worn as a matching band too!! It can be made in your finger size. Matching bracelet is available upon request.